Bira 91 April Fools' Fest Is Back & Here’s Why You’ll Be A Fool To Miss It Out! 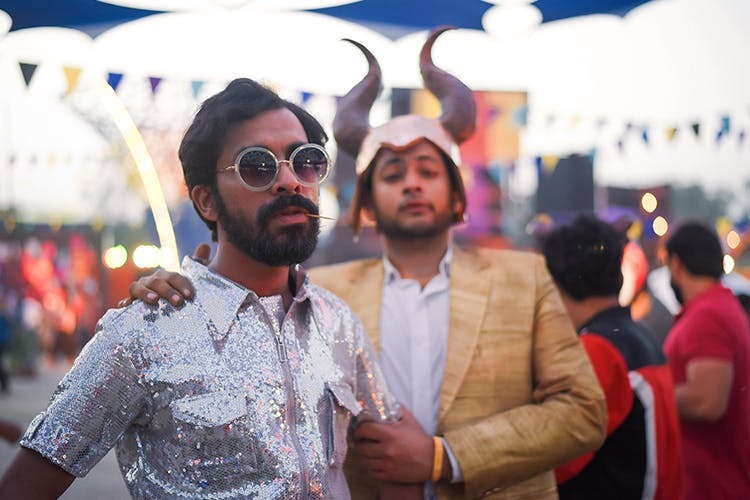 Summer’s almost here and before the season explodes in its full bloom, you’ve got to chill it out at Bira 91’s April Fools' Fest on 30 March and 31 March at NSIC Ground Okhla. It calls for a smorgasbord of food, hip-hop music and an exciting line-up of stand up comedy, theatre and more! Add to this the coolest element of free flowing beer and Bira merchandise, you’re in for an exciting weekend. So read on as we give you 5 reasons why you should hit ‘Book Now’ for the passes right away! With a hint of Mumbai rap scene (think Gully Boy feels) with Naezy, Prabh Deep or Rajakumari, humming to some pop tunes by Monica Dogra, headbanging to the madness by Madstarbase duo, Rolls Royce (Sumit Roy), Dj MoCity, Seedhe maut + Sez on the beat, Nash Jr or Coven Code, they’ve got them all. You'll find yourself cracking up to insane standup jokes here. The comedians you've been raving about are here to get you giggling, live! One hilarious tale upon another, get your funny bones rolling with Kunal Karma, Sejal Bhat, Rahul Dua, Rohan Joshi and Aishwarya Mohanraj. Fill up your tummies and foodie cravings with an extensive range of cuisines. Mahabelly is getting spicy south indian delicacies, there'll be pork ribs and dim sums from Nagaland's Kitchen, burgers and fries from Big Fat Sandwich & Pizza, Bihari litti chokha from Pot Belly, noodles and dim sums from Wok Me, kebabs from Koyla Kebab and lots more! Don't forget to try some of the specialties with Bira 91's signature Hot Sauce too. There’ll also be cold brews, hot coffees and desserts from Belgian Waffle Co., Emoi, Keventers and Blue Tokai. Love theatre? Catch the dramatic performances of Kommune featuring Kautuk Srivastava, Hari Sankar, Sheena Khalid, Shikhar Kamat & Tess Joseph. That's not all! The reps from crow experiences will be interacting with festival attendees with this year’s theme being cricket. ...Say whaat? Yasss! There will be lots of delicious Bira 91 cocktails at the bar. For all those who love Bira 91, there will also be a Bira 91 merch shop where you can grab exclusive merchandise such as glasses, growlers, t-shirts, keychains, badges & more! Still here?! Without further ado, get your passes stat along with your friends lest you regret it later! Every ticket gets you a complimentary Bira 91 beer and an all-access pass for the two-day festival. Round up your squad and book the 'Buy Together' option while purchasing the tickets!